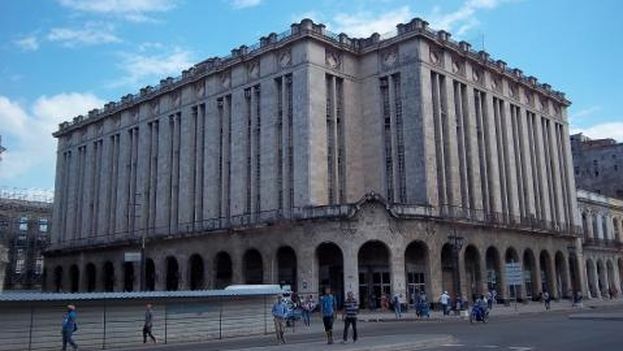 14ymedio, Havana, August 29, 2018 — This Tuesday at the Provincial Court of Havana, the trial began against more than 20 people accused of participating in an alleged network of migration document falsification so that provincial residents would be able to reside in the capital of the island, Diario de Cuba announced today. The network, which allegedly operated between 2013 and 2016, “was centered around the Housing Office of the municipality of Cerro, according to the official record of the case,” said the independent medium in the statement. According to authorities, this group’s procedure consisted of identifying individuals who needed to go through the process urgently and who were exhausted by the bureaucracy necessary to complete it. “Many people arrived at the workplace of the accused officials and agreed on an amount that, in general, would be paid in two halves: the first at the beginning and the second once the required Resolution was delivered,” explains DDC. The main defendents, Sonia Milagro Barban, a lawyer at Cerro’s Municipal Housing Department since 2012, and her friend, Iluminada Machada, ex-employee of the Havana Provincial Administration Council, allegedly charged between 40 and 150 dollars, mostly to young people seeking to reside permanently in the capital or who needed an address change to be hired for a State job, as is required by law. Both women face sentences of between 8 and 15 years in prison for the crimes of falsification of public documents and bribery. Another five accused, “among them office workers and citizens who allegedly benefitted economically from the group engaged in corrupting documents,” may also be sentenced to 3 years in prison, in addition to being disqualified from future employment in public administration. According to the Attorney General of the Republic’s report, Machado and Barban joined together “with the purpose of making an illegitimate profit, with Barban taking advantage of the power of the position which she held.” In this way, the applicants, some of whom are also accused in the trial, arrived at the workplace of the officials facing trial in order to settle the process. A third member of the alleged plot, a technician withTerritorial Planning Marily García, could not be tried, as she committed suicide in Havana in November of 2016, a few days after being notified that she would be subject to an inestigation regarding the internal migration records that she managed. The fall of this group was preceded by complaints of irregularities by officials of the Offices of Housing Processes and supervisors of the Offices of Identity Cards in the municipalities of Regla, El Cotorro, San Miguel del Padrón, La Lisa, and East Havana. Additionally, according to the case file, the quality of the falsifications was poor, due to having been made on household printers, without the reliefs or special inks required for the official emblems. Finally, the criminal expert’s report was able to confirm that the network had made at least more than twenty false change of addresses, but according to a lawyer consulted by DDC there could have been more, given the high demand for this process. According to the Population and Housing Census conducted in 2012, 11.2% of the Cuban population is made up of interprovincial emigrants and almost half of those are settled in Havana. 24.8% of the Cuban capital’s population is made up of immigrants from other parts of the country. Since 1997 a Legal Decree has established internal migratory regulations for Havana that prohibits Cubans who come from other areas of the country from establishing residence or living permanently in the capital without authorization. The strict legislation has created a framework of marriages of convenience, false work permits, and bribes to get identity cards with Havana addresses.